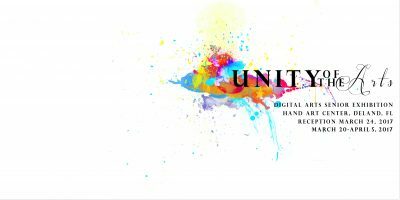 This Friday from 6-8 PM, the Hand Art Center will be hosting a reception celebrating this week’s opening of “Unity of the Arts,” the Digital Arts Senior Show. Other seniors will be showing work at various locations. Casey Deiter and Tony Pizzo are performing a joint concert in April at Feasel Hall. 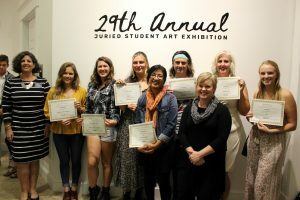 Arielle Pennington has already shown her projections in the Spring production “Rhinoceros.” Finally, Michael Zirpoli will be showing his work projected on the Stetson Rocks. 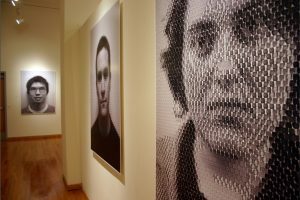 The show will be open from March 20 through April 5, feel free to stop in any time during the Hand Art Center’s hours.